Direct response remains a proven strategy for engaging donors. Mail and email can be powerful tools that generate fundraising results, but they need to be tailored for today’s donors. RNL’s Direct Response solutions combine data-driven analytics with award winning creative and targeted outreach so you get the best results possible. 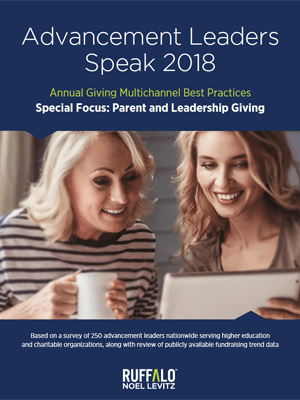 When combined with our additional Annual Giving solutions, it adds a strong component to your multichannel fundraising campaigns. Ruffalo Noel Levitz will work with you to understand your needs, share relevant samples and best practices and help your organization maximize the effectiveness of your direct mail program. We analyze past direct mail trends and determine the most responsive audience and the most effective ask strategy for your direct mail program. Our team works with you to determine the right messaging, sequencing, and timing to support your ask strategy to optimize your donors and dollars. We pair our strategy and analytics with an award-winning creative team to create mailings that get read and responded to. The result? High-impact direct mail that engages your audience and makes a compelling case to give. E-newsletters that keep alumni informed and engaged with your institution. Talk to our fundraising strategists about how you can maximize the results of your direct response outreach.